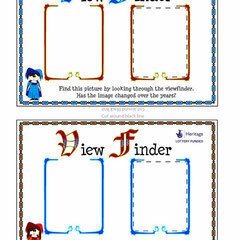 MAKE VIEW FINDERS - The website of the heritage knights! Its not easy to imagine how things once were. Good literature and story can help, so can an old photograph. Old photographs are priceless documents for heritage detectives and are often used for heritage quests. 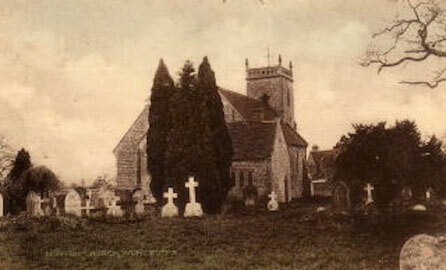 St. James' Church Norton-juxts-Kemspey before the extension was added. Old photographs help prove that things are changing all the time. Looking though the opening to compare and contrast. Locate the spot where someone took this photograph. 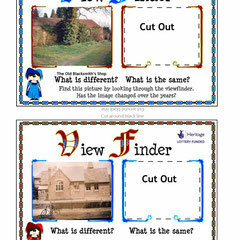 Compare what you can see today with what you can see on the photograph. 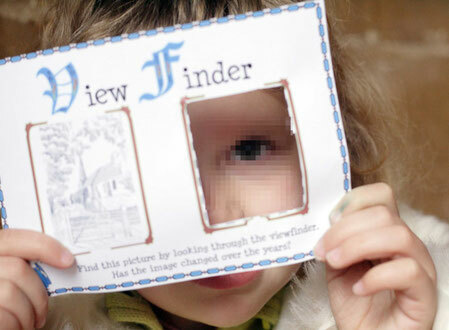 The format of these viewfinders is fun and appropriate for some situations but we have found that in more serious learning situations it is more appropriate to reproduce several photographs per page and cut them out. 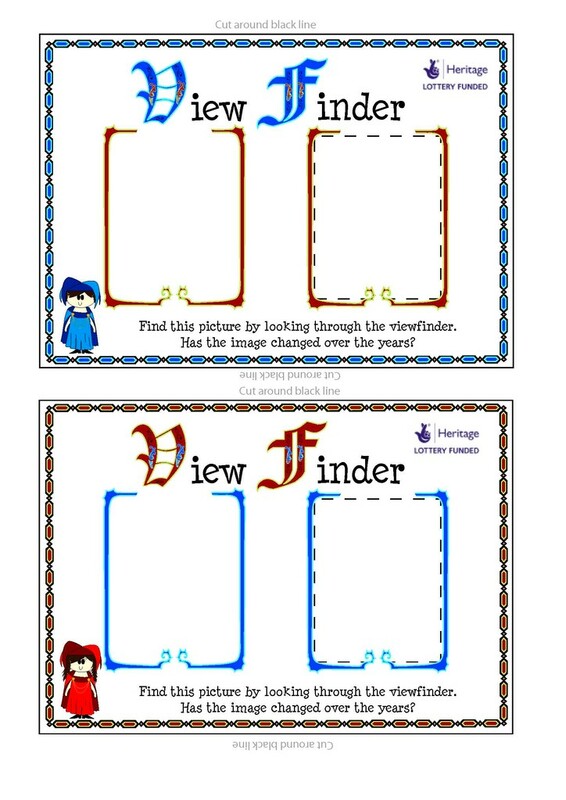 Each child needs a photograph but it can be clipped on a revised viewfinder recording sheet and attached to a clip board. 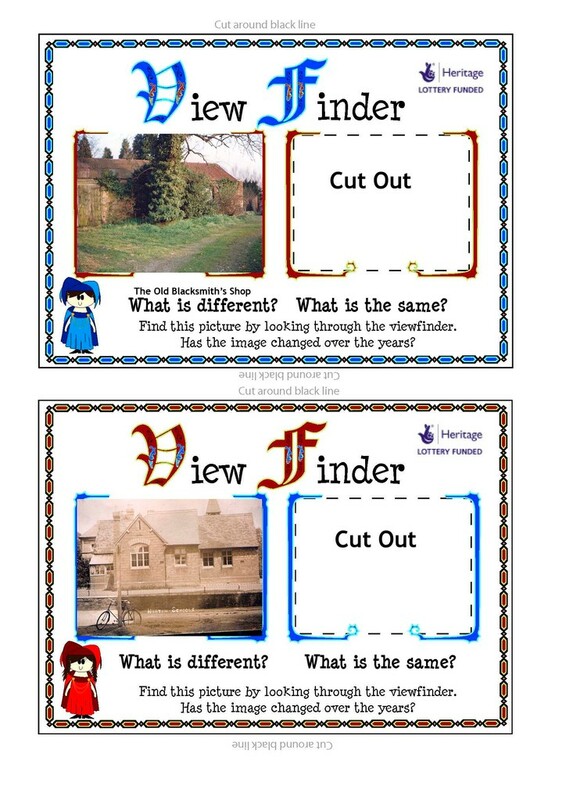 This makes for easier recording of what is different and what is the same. A word of warning though if the weather is wet an ink jet image will smudge badly so it may be sensible to place it in a plastic bag.